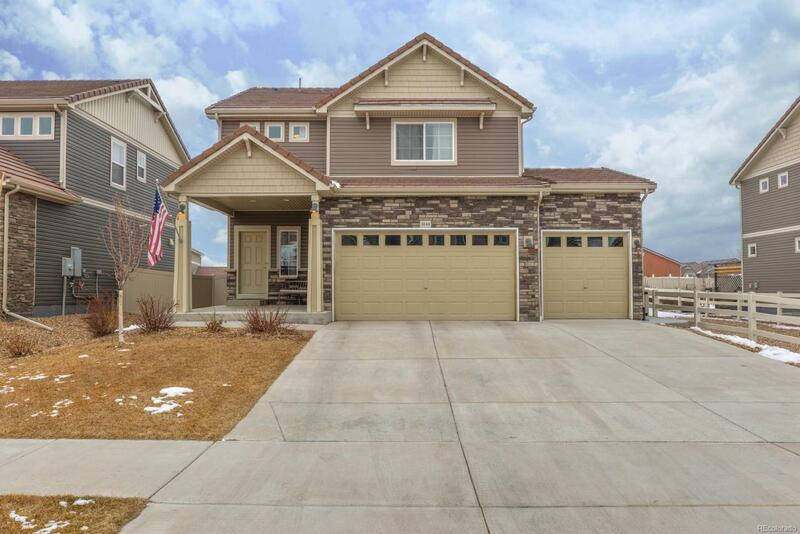 Tastefully appointed 2 story home in Thompson River Ranch. Spacious lot with large outdoor patio and covered front porch. The kitchen features quartz counters and island, gas range, SS appliances and upgraded cabinetry with pull outs. The main level has beautiful engineered hardwood floors and all baths have tile flooring and quartz tops. Three bedrooms up with oversized walk in master shower and walk in closet. Three car garage and unfinished basement for future expansion.